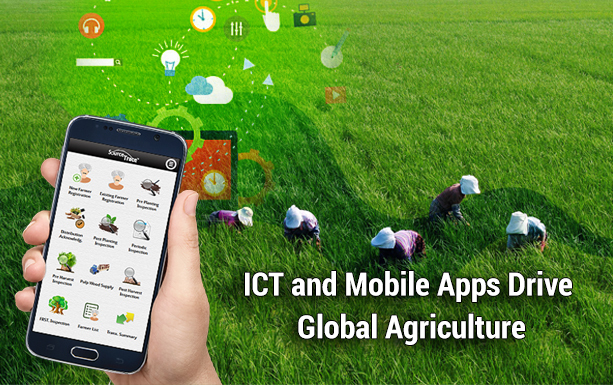 How mobile apps are helping agriculture in achieving sustainable development? We’ve come to a time in civilization when raw materials and resources are becoming ever more scarce. When we take into consideration the pollution, increased emissions, soil degradation, and water depletion, we know the sustainability challenges that loom in the horizon are real. But into this same scenario, we lately have the entry of 3G mobile networks worldwide. Although agriculture and mobile apps technology may appear disconnected on the face of it, there is already an increasing amount of evidence to suggest that making use of mobile and cloud-based applications not only addresses these sustainability challenges but also creates financial value for both large agriculture-based companies and smallholder farmers. The introduction of such mobile technology and portable, wireless devices has led to the creation of innovative services and applications that are used within the agricultural chains in both developed and developing countries. The nature of the adoption of these technologies in these two markets does show some variation. In developed countries, mechanization is more advanced and the agricultural labor force is significantly smaller. Here, mobile applications tend to be implemented further up the value chain. In developing countries, where a large proportion of the workforce is employed in agriculture, mobile technology is more commonly used to deliver services for producers and traders. The host of applications of mobile technology in agriculture includes market information such as trading facilities, weather information, peer-to-peer learning and financial services such as payments, loans and insurance. Spreading agricultural related information to farmers in the poorest communities are made easier with the help of cloud computing, integrated IT systems, online education and proliferation of mobile phones. One of the benefits of such connectivity and information flow is that it helps farmers make better land management decisions. For example, it can enable soil condition to be monitored in conjunction with weather information in order to better plan the planting and harvest season. Similarly, Geographical Information Systems can be used to provide pre-emptive information on pests and animal diseases so farmers can respond accordingly to the level of risk. Optimizing the use of fertilizer, seeds, and water can also be done by utilizing mobile and cloud computing technologies. This helps farmers save money while reducing consumption. What has made adoption of these technologies more favorable in the developing countries is an increase in usage of mobile phones and apps? According to a study, 78 percent of the world’s households had a mobile phone in the year 2011, which was a huge increase from 20% in 2000. Even in the region of the lowest penetration rate of 67%, Sub-Saharan Africa, it is rapidly rising. Today, mobile apps and services are being designed and released in different parts of the world. The USDA’s Agricultural Research Service (ARS) recently released the first two of a suite of mobile phone apps known as ‘LandInfo’ and ‘LandCover’. Available to be downloaded from Google Play Store, they are currently for use on Android phones only. 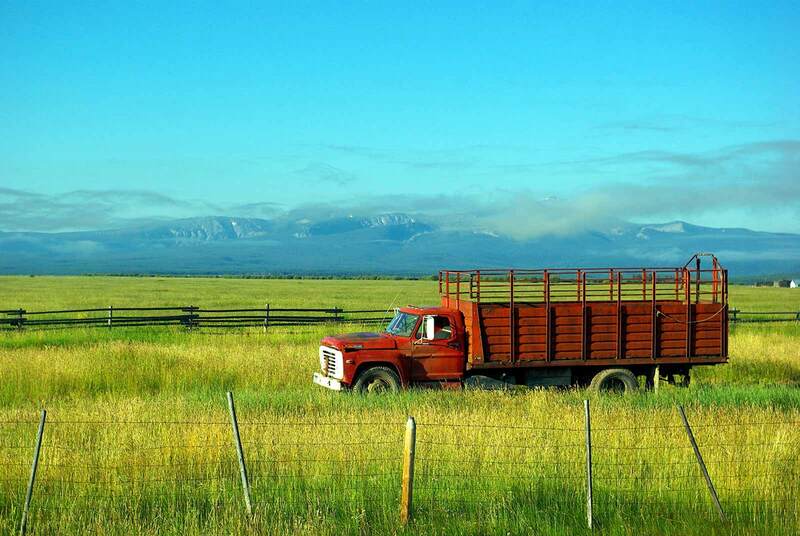 These apps connect agricultural producers around the world and provide them with shared knowledge on ways to maximize their land’s productivity while protecting its resources for future generations. Such shared knowledge is becoming more critical as agricultural producers seek to meet the food, fibre and fuel needs of a growing population. Let’s look at a few other examples from around the world. Reuters Market Light (RML), is a subscription-based SMS service that provides localized information on commodity prices, crop cultivation, and weather. One of the most beneficial aspects of ICT in agriculture is real-time pricing information which helps farmers decide whether to sell or hold and to identify the best crop to grow, and RML helps fill this information gap. Smartphone mobile application designed and developed by Jayalaxmi agrotech from India are the most commonly used agriculture apps in India. Their mobile apps are in the regional language are designed to break the literacy barrier and deliver the information in the most simple manner. Several thousands of farmers across Asia are empowered with these apps. FarmerLink is a mobile solution for enabling the coconut value chain in the Philippines. This was created by Grameen Foundation and combines satellite data and farm data collected by mobile-equipped field agents to help coconut farmers increase productivity, deal with crop pest and diseases, and increase the sustainability of their other farms. Due to disease outbreaks in some coconut provinces in the Phillippines, the FarmerLink was initiated as it combines satellite data and farm data collected by mobile equipped field agents to predict and detect threats from climate-sensitive pests and disease. The FarmerLink will send warnings over their mobile phones. This is an example of an early-warning intervention. In South Africa, Vodacom has partnered with GIZ (On behalf of the German government and Manstrat Agricultural Intelligence Solutions to launch a mobile technology solution to support South African smallholder farmers into commercial agriculture. These provide farmers with the services they need. It promotes sustainable agricultural practices, enhances productivity and reduces risk. Sourcing from smallholder farmers, as a result, becomes more realistic and executable for food manufacturers and retail businesses, increasing the number of smallholders and subsistence farmers in commercial agricultural value chains. In the midst of all this hoopla, what is the real position of the smallholder farmer: The smallholder farmer, who is much more exposed to the risks of agriculture, including climate change…the smallholder farmer, who barely has a profit margin, and is often cultivating just to feed his family. So it is he who needs low-cost strategies more than anyone else. The recent advancements in Internet and Cell Phone Technology (ICT) bring forth great opportunities to ride over or, ‘leapfrog’ over the costly and redundant technologies that the smallholder farmer could not have afforded. He can now make use of existing tools and services. Although the decentralized structure of the 500 million smallholder farmers and cooperatives is a challenge, one thing that ICT can and has achieved is connectivity and information flows. Yet, the power and resource to be the first to leverage these technologies has always wrested from the big private companies. It is these private companies who can afford to and should invest in mobile technologies. However, so far they’ve only done it when Government regulations force them to do so. The overarching benefits of ICT in agriculture are that it reduces transportation, transactional and corruption waste. It can bring about product traceability, disease and pest tracking, and storage. Research studies have shown that traceability data not only helps manage food risks but also pushes up the overall business performance. In developing countries, they can deliver a significant portion of the world’s agriculture, increase efficiency levels and finally, reduce the environmental impact of farming.